Home » News archive » TYTUS: Sign …hter Records. TYTUS: Sign with Fighter Records. 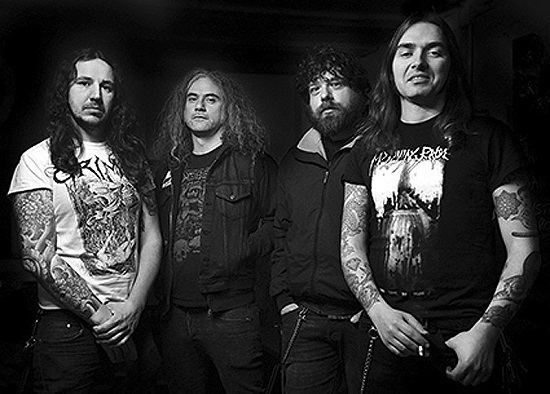 Italian Heavy Metal band TYTUS, which signed a deal with Fighter Records in December 2017, are finishing the recordings of their sophomore album to be entitled "Rain After Drought" and soon will reveal cover art, first single and tracklist as well as a definite release date for it which is expected for late 2018 or early 2019 through Fighter Records. TYTUS was born in Trieste (Italy) in 2014, releasing their first recording in form of a very limited 7"EP entitled "White Lines" in early 2015. Later on, the band got signed to Sliptrick Rec. which released their debut album "Rises" in October 2016, receiving a fairly good acceptance in the underground Heavy Metal scene.